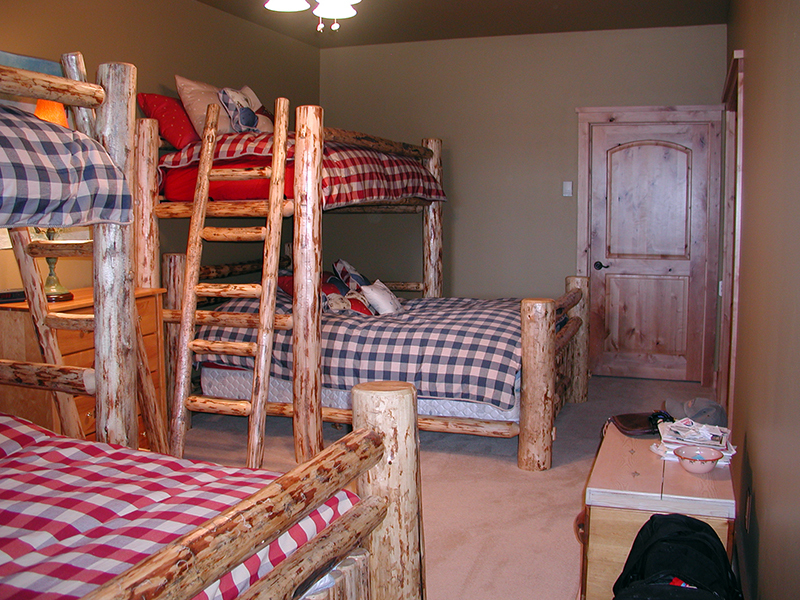 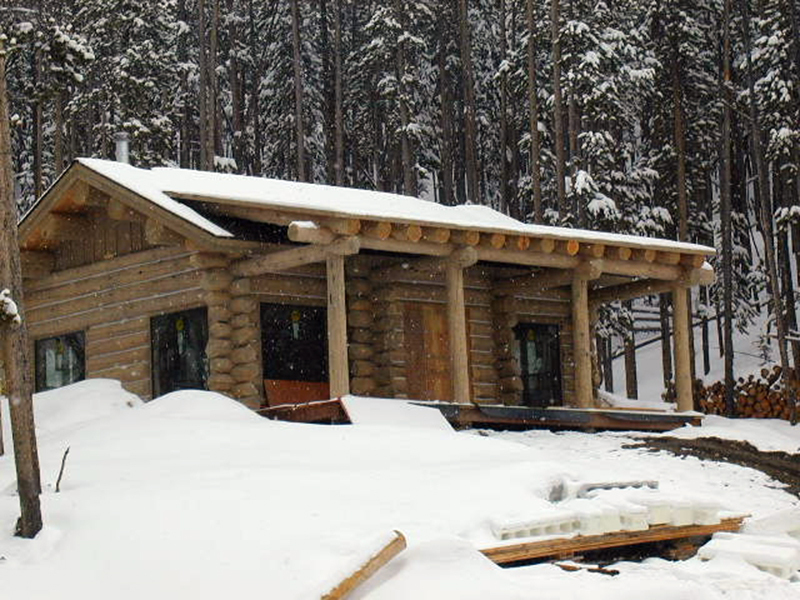 The home is open and expansive, with the feel of a traditional lodge and unparalleled views. 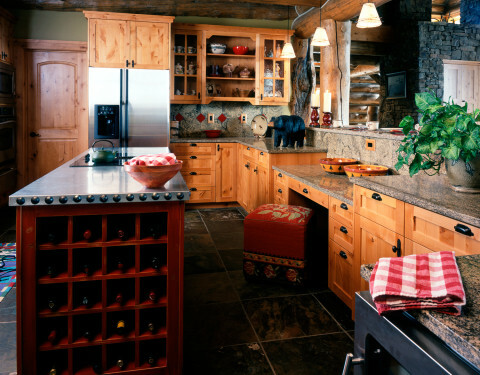 The owners of Alpine House had been vacationing in Big Sky for years when they decided to build their ideal home, nestled in the alpine forest beneath the shadow of Lone Mountain. 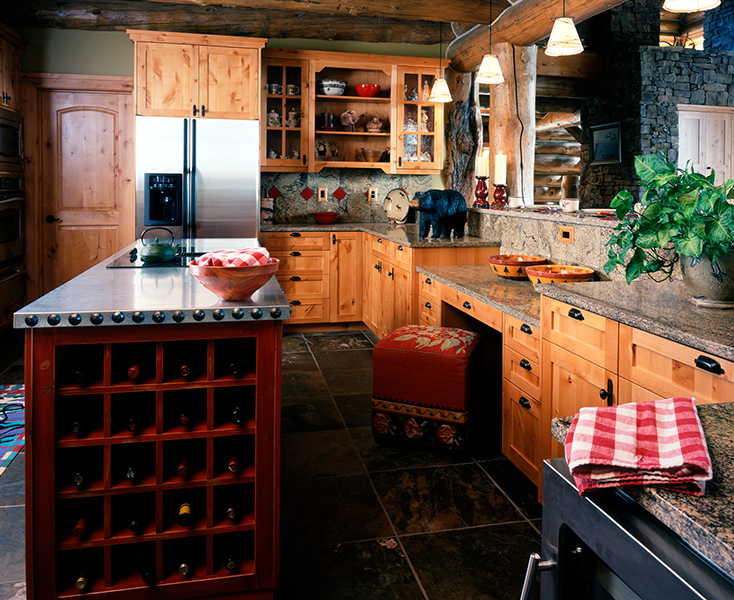 Creating a magnificent home—and new life—for them, was about infusing the home with their passion for Big Sky. 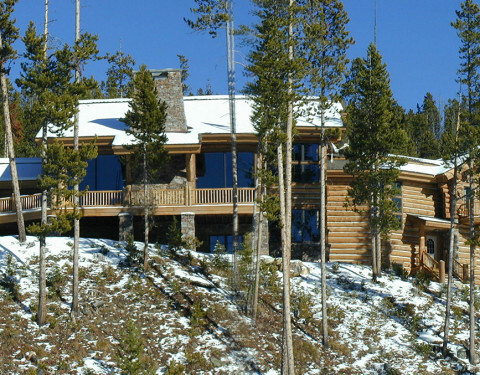 Blue Ribbon Builders was able to meet the technical demands of building slopeside, at high altitude, while simultaneously creating a spectacular four-level home that reflects the family’s love of the outdoors. 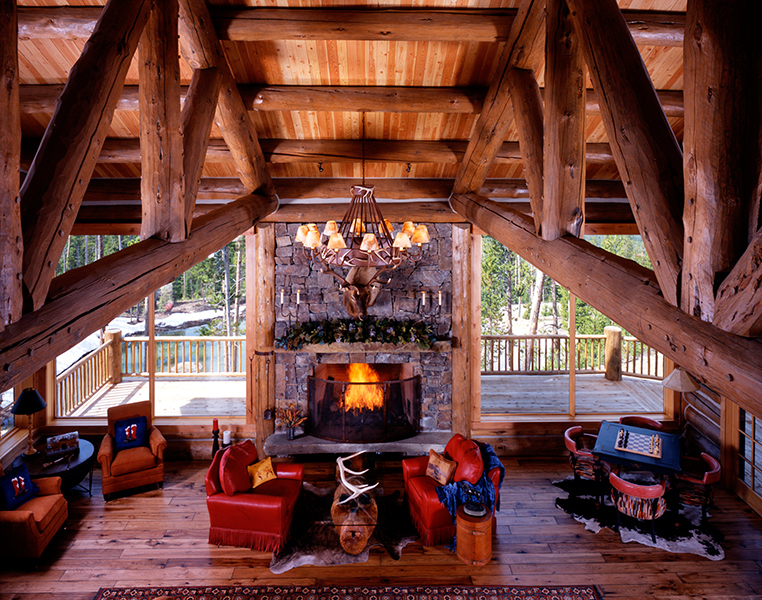 With stunning logs, hickory and slate floors, and locally harvested rock for the dramatic three-story fireplaces, the Alpine House demonstrates Blue Ribbon Builders’ commitment to superior craftsmanship. 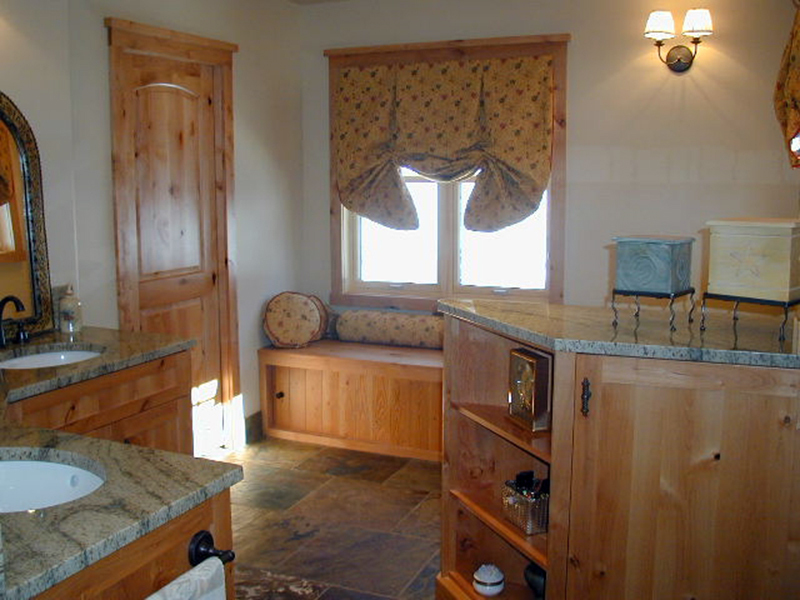 The home is open and expansive, with the feel of a traditional lodge and unparalleled views. 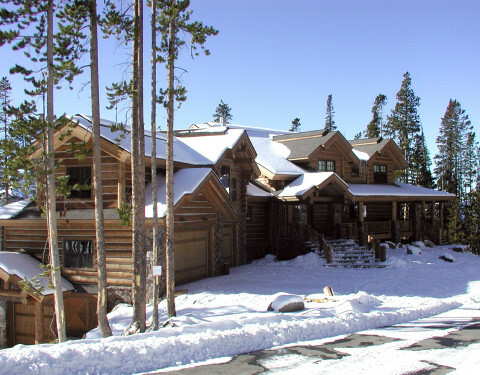 From the exterior, the house is perfectly proportioned with classic lines and elegant details—like covered porches and small balconies—all of which allow it to blend seamlessly into its forested setting. 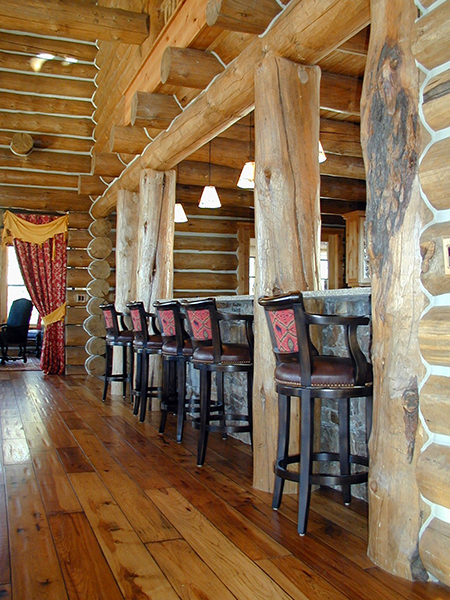 Tucked deeper into the woods is the family’s “clubhouse,”—a charming log cabin in its own right—which boasts an indoor target range, a pool table, and a handsome bar.